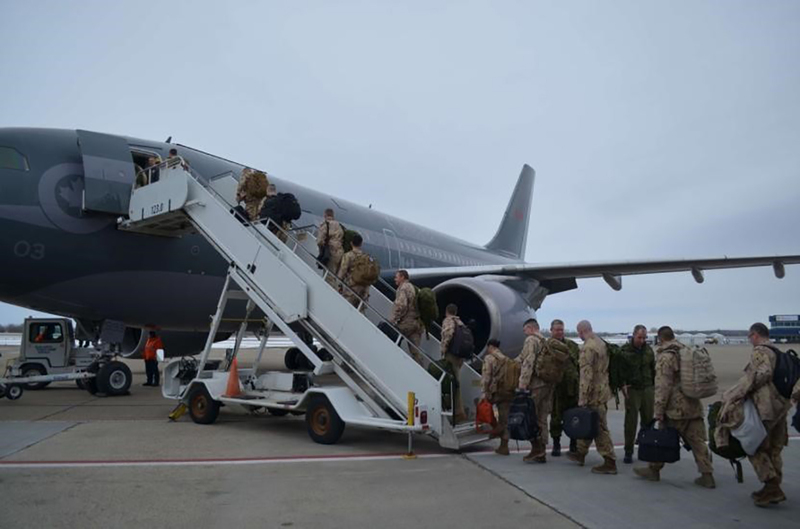 About 60 members of 408 Tactical Helicopter Squadron, based at 3rd Canadian Division Support Base in Edmonton, Alberta, departed on April 17, 2017, for northern Iraq. There, they will assume the duties of the Tactical Aviation Detachment of Air Task Force–Iraq as part of Operation Impact, the Canadian Armed Forces’ commitment to the fight against Daesh. Members of 408 Tactical Helicopter Squadron will relieve personnel from 430e Escadron tactique d’hélicoptères, from Valcartier, Quebec, who have been providing tactical aviation support in northern Iraq since early October 2016. Personnel of 408 Squadron will fly and maintain four CH-146 Griffon helicopters, located with the Canadian-led Coalition Role 2 medical facility at Camp Érable, Iraq. As many as four CH-146 Griffon helicopters provide in-theatre tactical transport for Canadian troops and materiel near Erbil, Iraq. The aircraft carry an array of self-defence systems for force protection.